At the time this report was written on Feb 6, Ethereum’s (ETH) market cap was roughly $1 billion below the market cap of Ripple (XRP). Source: Coinmarketcap.com. This seemed curious with the recent report hypothesizing that Ripple’s market cap may be overstated by $6 billion. Is Ethereum really that bad? We decided to move outside the box and look at Ethereum (ETH) and Ripple (XRP) pairs vs. Bitcoin (BTC). Looking at Ethereum (ETH) vs. Bitcoin (BTC), we see that the pair has hit a major horizontal support going back to Nov. 25. Right now, ETHBTC is holding, which could be constructive for ETH. Conversely, if ETHBTC goes any lower from here, Elliot Wave work could suggest a more vertical 5-wave down (Figure 1). Looking at Ripple (XRP) vs. Bitcoin (BTC), the technical picture seems a bit different. XRPBTC is moving lower after hitting resistance at a well established Fib circle pattern (Figure 2). If there is any negative fundamental news about Ripple (XRP), a decline vs. Bitcoin (BTC) could occur. Bottom Line: Predicting the future of Ethereum (ETH) is difficult with the hard fork coming in late February. Since Ripple’s (XRP) market cap is currently above that of Ethereum (ETH), it seems reasonable to question Ripple (XRP) valuation relative to that of Ethereum. The Crypto.IQ Trading Desk is up over 200 percent in a bear market for a reason. 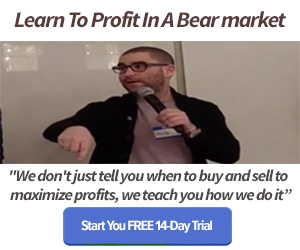 They are experts at trading pairs of big coins vs. Bitcoin (BTC). Join me there as we look to set up new trades in these and other Bitcoin (BTC) pairs.